Yey they made it to the stores! We should have them in nearly every microcenter store at this point. If anyone lives near one and can snap some pictures of them on the shelves we'd sure love to see it! Thanks Michael for letting us know they've been spotted - we are shipping some more to Microcenter right now actually! Not only spotted, but my friend bought one without being on the kickstarter campaign.... 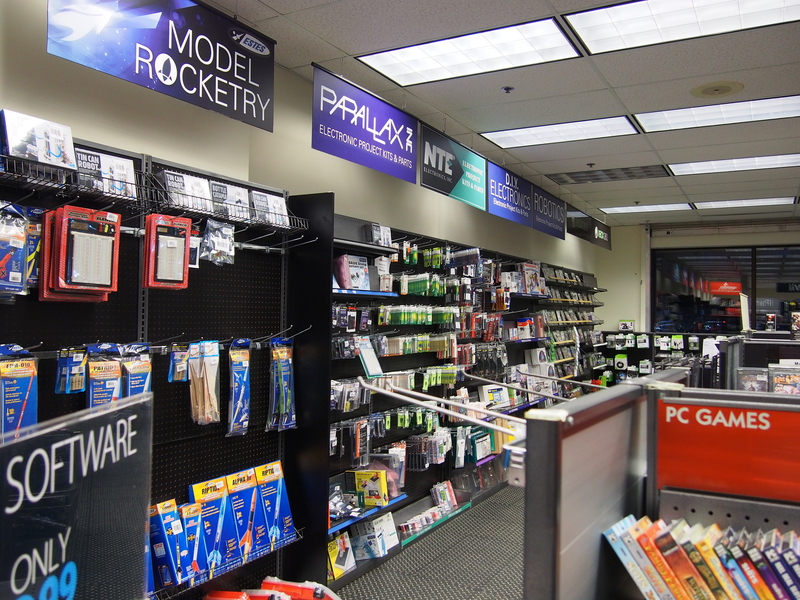 I may be going to Microcenter on Sunday, and if I go, I'll try to take a picture. However, Microcenter ony lists them as DigiStump, not DigiSpark if you search. I stopped by my local Microcenter yesterday on my way home from work. Unfortunately, I didn't spot the Digisparks, and I didn't have time to stay and ask about them. I did, however, pick up a new/better soldering iron and some "helping hands", which I put to good use today building some of my shields. So far, I've put together the LCD, RGB LED, and IR shields. And surprisingly, despite my rusty soldering skills, they all worked! I also have the motor shield, but I'm afraid I may have bitten off more than I can chew with that one. I'm going to need a finer tip for my iron. And maybe a shot of whiskey to steady my hands. I put together the motor shield for my son, using the fancy soldering station at work. I suggest you also pickup some 'solder wick" which is used to soak up excess solder. That way if you do join two pins together (that aren't meant to), you can remove the excess very easily. Apart from eliminating the shakes...I suggest you position the IC and solder one pin only, then solder the diagonally opposite pin if it all lines up. Having something that rests on the IC and holds it in place, is also helpful. And I didn't have a fine enough tip for the super tiny 0402 parts so I coiled copper wire around the tip I had and brought it out to a point - with a bunch of solder on the tip to conduct heat to the wire it got hot enough to solder. I was also out of solder wick at the time. So a decent iron and solder wick and some care and I bet you'll do fine. Solder wick (I buy the $1 ebay kind) can make up for iron tips that are way too big and the next biggest trick is to just not overheat the thing - Mark's advise is sound as well. My wife and I just moved to the Boston area and I am excited to learn about MicroCenter! 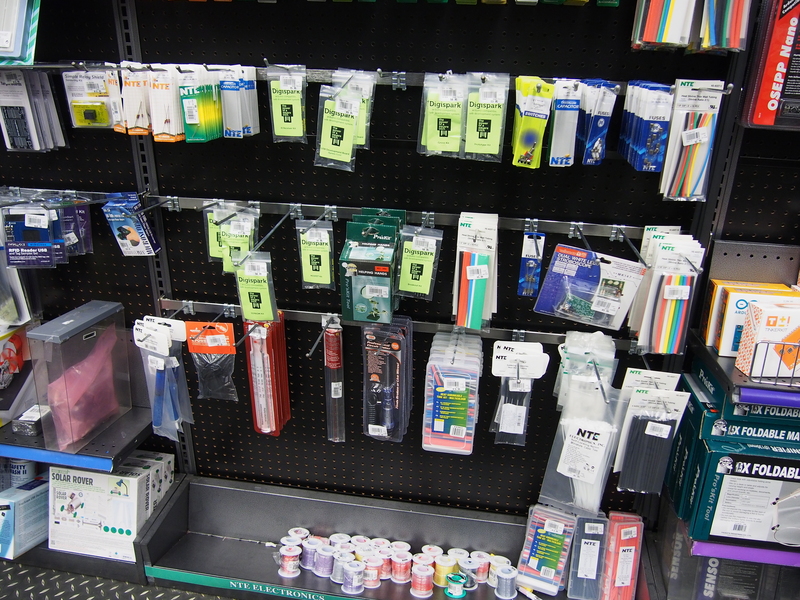 I am excited just to find an electronics/hobby shop in my area, let alone one that supplies DigiSparks! We'll be making a trip out there soon, maybe to pick up an extra LCD shield kit. If it's anything like the St Louis MicroCenter, good luck finding anything. It's the most disorganized and messy store on the planet. Yeah, it's got neat stuff, but much of it isn't where it's supposed to be. Micro Center in Boston recently discovered hobby electronics. If they haven't moved it, it is in the front of the store -- when you go through the doors, turn right, pass through the DIY computer section, and go back to the front part of the building (the doors are in the middle and there is a part that juts back into the parking lot -- it used to be a grocery store). It is on Memorial Drive which runs along the Charles river on the Cambridge side between the Museum of Science and MIT. I'm not sure how many of their salesfolk know about hobby electronics. Note, access to parts of Memorial Drive are closed to car traffic on Sundays (but Micro Center is on the part that is accessible, but you might need to go over the river to Boston to get there). Also, be sure to check on river events. Popular events like Head of the Charles, can essentially close off the Micro Center and Trader Joes. I already had another iron, that I got at Radio Shack about 30 years ago. But it wasn't adjustable, and I didn't have a stand for it. And I also just rediscovered an old butane-powered mini-iron -- I'll have to take another look at that one and see how fine its tip is. But I had never thought of extending the point with copper wire! Thanks for the tip, that might be worth a try. @dougal - just make sure you do it with a already bad tip if you try it - it pretty much ruined the tip. The ST7 I believe (http://www.amazon.com/Weller-ST7-X0-79-Series-Conical/dp/B000B607OC) is the finest tip for that iron (might want to check I just pulled that out of my head) - it is a big tip by surface mount standards, but should get the job done with some solder wick. @michaelmeiskesner Wow thank you for the list of resources! It looks like You-Do-It is the closest one to me. I'll have to check it out some time! 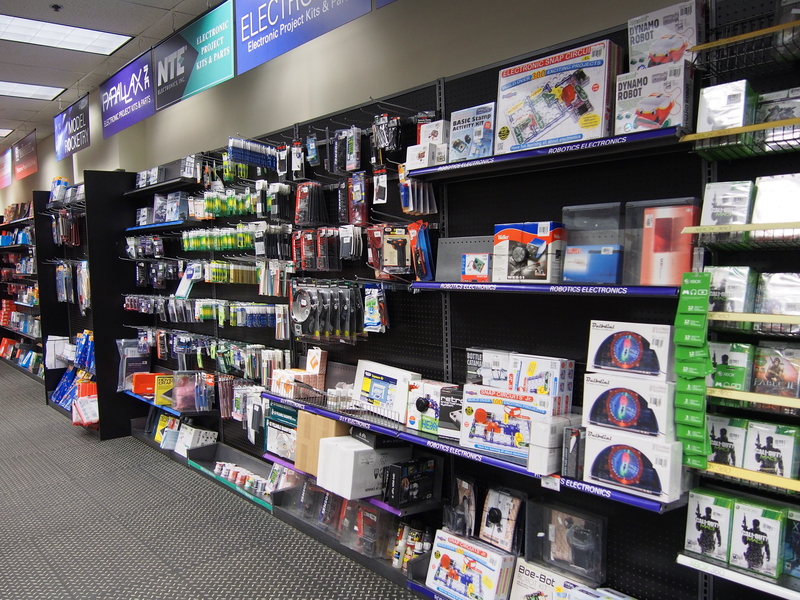 I went over to the Boston/Cambridge Microcenter, and they have greatly expanded the number of hobby electronics kits that they offer (and moved where the kits are to a different wall). If I may make a small suggestion -- see if you can add a line or two on the front of the package to each of the kits, to explain what the kit is. After all, the point is to entice somebody looking at the rack of products. Most of your competition is larger products, and so forth, and they have more room to go into detail, but with a small package, you have to be explicit in what it does. Also, I could not tell from the packaging which of the two breakout kits was hanging on the wall. Digistump Admin I have one of those Weller-WLC100-40-Watt-Soldering-Stations. Love it.